The city of Cadiz is an amazing place to explore on foot. Situated at the end of a peninsula, Cadiz is surprisingly compact and easy to navigate, even for the most timid of visitors. Its cathedral, its ancient walls, its old fortifications, and its narrow streets all work to invite the visitor into the city's heart and engulf them in the soul of the place. As you wander, it almost feels as though centuries of history are wandering along with you, silent witnesses to the the many events that comprise the past. Below are a list of relatively central hotels in Cadiz, all of which allow for the utmost enjoyment of this capital city. Eat well, drink well, and still be able to walk home! Each hotel has its own individual style and selling point, whether it be location or style, or both. A lot of hotels in Spain have lower star ratings, but this certainly does not mean they lack in quality. For information on Apartment Rentals in Cadiz City, visit our Cadiz Rentals page. The modern and stylish Parador de Cádiz is set in a smart, contemporary building. It offers a spa and an outdoor pool with fantastic sea views. Each bright room comes with cosy furnishings. Regional cuisine is served in its à la carte restaurant. Just 100 metres from Playa de la Victoria Beach, this modern design hotel offers spacious rooms with free Wi-Fi and flat-screen satellite TV. Its restaurant serves a buffet breakfast and a la carte lunch and dinner. Rooms are clean and spacious. This hotel is set 100 metres from Santa María del Mar Beach and 20 minutes' walk from the Old Town. It offers free Wi-Fi in all areas and air-conditioned rooms with wooden floors and private bathrooms. 24-hour reception. Set on Victoria Beach, Tryp Cádiz - La Caleta features a restaurant and a 24-hour reception. Each spacious, air-conditioned room has modern décor, a TV and free Wi-Fi. Buffet breakfast is served in the restaurant. Set overlooking the Atlantic Ocean, this modern hotel is on Playa de la Victoria Beach, 3 km from central Cádiz. It offers a large outdoor pool, terrace with ocean views, and free Wi-Fi. 24-hour reception. Senator Spa Hotel is located in Cádiz's old town, close to shopping centres. Aquaplaya is the Senator Cádiz's superb, exclusive urban spa (fees apply) with a variety of treatments to enjoy. During the summer months, there is the outdoor pool. Housed in an elegant 19th-century building, this hotel is in Cádiz’s old town, 3 minutes’ walk from the port. It features a roof terrace, fitness centre, and free Wi-Fi. Air-conditioned rooms feature private bathrooms. There is also a restaurant. Hotel La Catedral is set right next to the Cathedral. Its rooftop terrace has a small outdoor pool with amazing views of the cathedral and the Atlantic Ocean. Its modern, stylish rooms feature air-conditioning and spacious private bathrooms. Patagonia Sur’s colourful modern rooms include free Wi-Fi and flat-screen cable TV. It is situated 200 metres from Cádiz Cathedral and the Tavira Tower, in the historic Old Town. It is 2 minutes' walk from Cádiz's Conference Centre. There is a café-bar. Hotel Regio is situated on one of Cádiz’s main boulevards, 200 metres from Victoria Beach and surrounded by shops. The air-conditioned rooms have flat-screen satellite TV and free Wi-Fi. Most rooms have private balconies. A charming, Moroccan-style hotel that is ideally located in the heart of the historic old town of Cadiz, which enraptures its guests with a warm mix of Andalucian, colonial and classical styles. Each bedroom is unique and special. Free WiFi. Hotel Boutique Convento Cádiz is a 17th-century convent in the centre of Cádiz. It has a charming interior courtyard and maintains original design with pretty archways, Baroque marble pieces and ornate stonework. Each attractive room has modern décor, a minibar and a flat-screen TV. 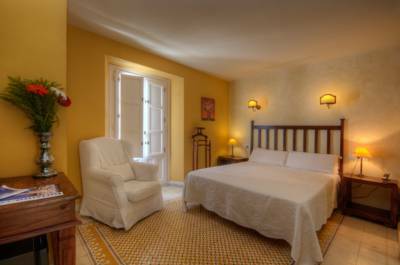 Set in Cadiz Old Town, La Casa Morada offers private rooms and dormitories, with breakfast included. It features free WiFi in public areas. 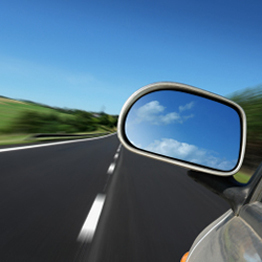 Some rooms offer a private bathroom, while others have access to shared bathroom facilities.